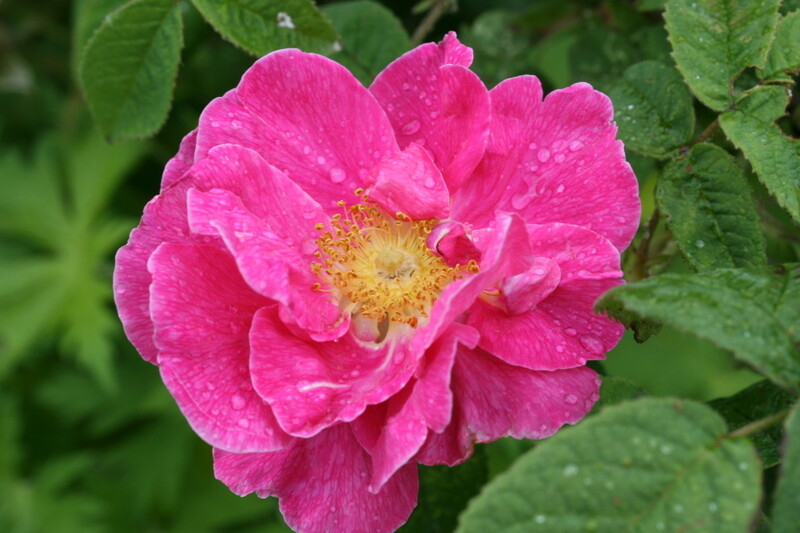 Rosa gallica ‘Officinalis’ is probably one of the oldest cultivated roses and was almost certainly grown by the Romans. It is said to have been brought to France in the 13th century by the Crusaders. In medieval times it was much cultivated for many purposes, such as for making medicines, preparation of scented water and rose oil. In England she is also known as the ‘Red Rose of Lancaster’ and it said to have played an important role in the English Rose Wars (see also Rosa ‘Alba Maxima’).